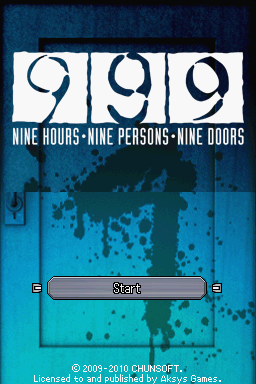 999: Nine Hours, Nine Persons, Nine Doors is a visual novel adventure video game written by Kotaro Uchikoshi and developed by Chunsoft. 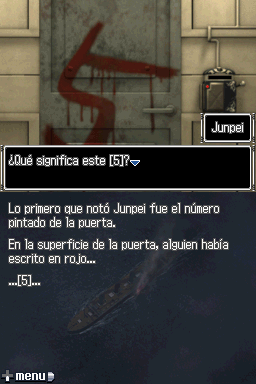 The story is about a college student, named Junpei who is abducted along with eight other people and forced to play the “Nonary Game” which puts its participants in a life or death situation, to escape from a sinking cruise liner. 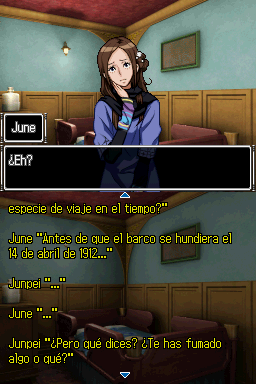 Translation for “999: Nine Hours, Nine Persons, Nine Doors” into Spanish. 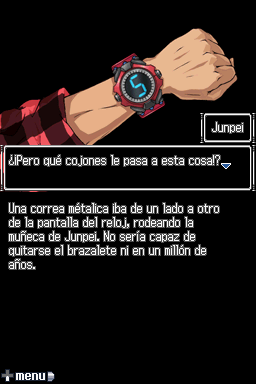 The patch has been uploaded here for conservation purposes only. 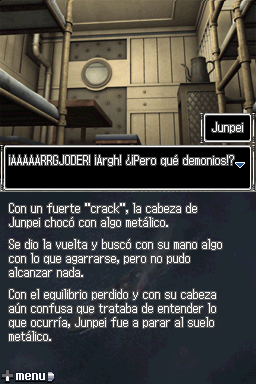 Please go to the author’s website to read more about this translation and its related translation tools. The resulting CRC32 once patched will be F338EE51.